This type of shortboard shape is resolutely focused on surfing. 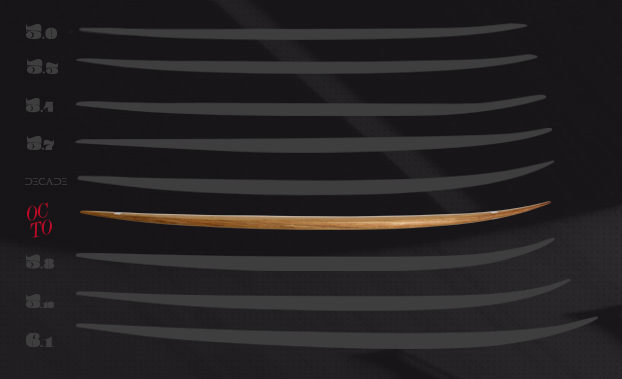 Its boxy rails, squash tail and a progressive concave generate speed and excellent pivot point on the rear fin. This is the all round performance board. Created to keep speed and flow in small conditions, it will remain accurate and incisive in powerful waves. 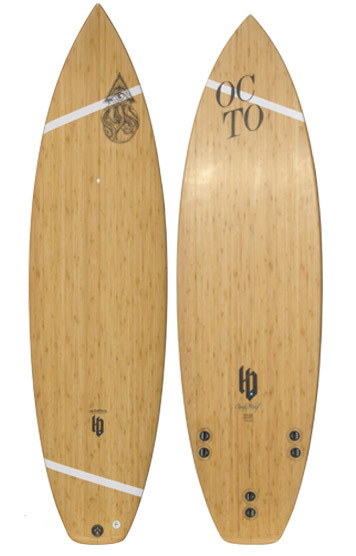 The Octo is the most narrow board of the range, but its generous volume allows riding in the lightest wind conditions and makes it an easy to handle board. Full bamboo construction featuring Paulownia rails provides comfort in every type of sea condition, the finish is unique as its surfing qualities. Jetzt auch in 5'6" verfügbar!